The DRI President’s Medal recognized Switch for its outstanding and significant dedication to furthering the Institute’s mission and goals through time, support and expertise. On Thursday, June 2 more than 200 people gathered at the Reno and Las Vegas campuses of Nevada’s Desert Research Institute to celebrate the scientific and academic achievement of the Institute’s faculty and students. DRI’s Annual Convocation Ceremony presented accolades to nine scientific researchers and graduate students on behalf of the Nevada System of Higher Education Board of Regents, DRI donors and individual scientific research divisions. Nevada System of Higher Education Board of Regents’ members Regent Jason Geddes and Regent Kevin Melcher were on hand to present several awards. DRI honored 18 graduate students from UNR and UNLV who have completed research for their Masters or Doctoral degrees while working with DRI research faculty. Dr. Stephen G. Wells, DRI President, also presented his 31st President’s Medal to Switch SUPERNAP for the company’s outstanding commitment to STEM education, clean and renewable energy, and “paying forward” their success to help build Nevada’s new economy. Missy Young, Executive Vice President of Sales at Switch SUPERNAP accepted the award on the company’s behalf. 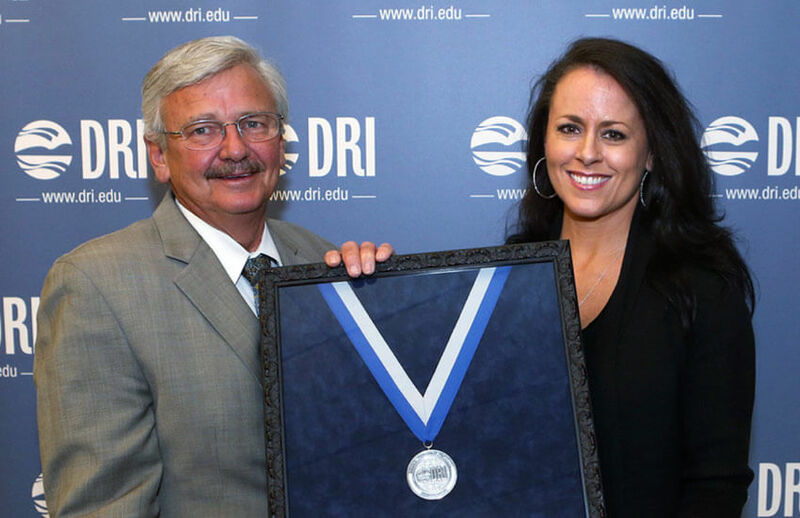 The DRI President’s Medal recognizes those who have exhibited significant dedication to furthering the Institute’s mission and goals through their time, support, and expertise. The DRI President’s Medal is selected and awarded annually. Previous recipients have included the Honorable Senator Harry Reid, Former Lieutenant Governor Sue Wagner, former IBM Research Vice President and DRI Trustee Emeritus Arther Anderson, the Conrad N. Hilton Foundation, Doug Allen and the Steamboat Ski and Resort Corporation, Tom & Mary Kay Gallagher, and many more since the first award in 1998. NOTE: This is a republished version of an original article that appeared on the Desert Research Institute's website's news section on June 3, 2016.